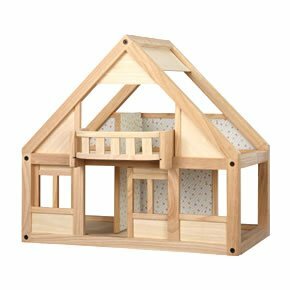 This A-frame My First Dollhouse from BRIO Toys tends to make a perfect introduction for the particular little girl in your life. Imported. For ages 3 years and up. 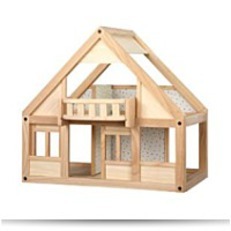 The dollhouse comes with 4 unfurnished rooms each with springtime flower wallpaper and an upper level balcony. Furnish the rooms as a bedroom, bathroom, living room, kitchen or dining area with various accessories sets (each sold separately ). 25Hx14Wx23L ". Made of wood. Dimensions: Height: 22.64" Length: 16.54" Depth: 24.61"
Package: Height: 4.7" Length: 25.1" Width: 23.25"